Located in Yongkang, China, we are an eminent manufacturer, exporter and supplier of Rotary Hammer (Z1A-TK-2001 SRE). 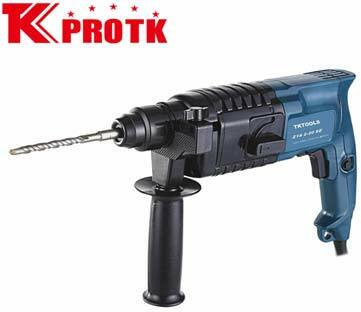 The Rotary Hammer (Z1A-TK-2001 SRE) has 6mm and 8mm drill bits, color sleeve and BMC packing. The product has the net weight of 2.3kg, no-load speed of 0-850r/min, rated input power of 500W and maximum hole-opening of 20mm. The packaging is done in a carton of size 51*37*34cm3 and there are 5pieces/carton. ACC 6,8MM Drill bits,color sleeve,BMC packing.